Insert the non-slip, CNC machined, Delrin?? frame blocks into the Extra heavy duty steel handle for safe, form-fitted support of the frame. Allows easy access to screws and pins for removal of all parts except the loading gate. 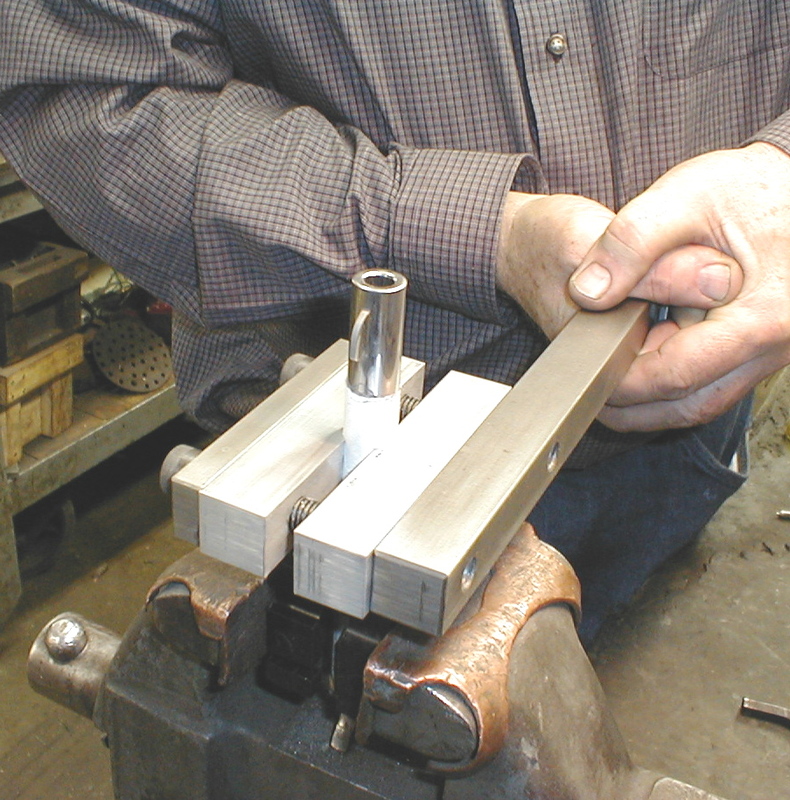 Or, place the frame blocks in vise jaws to immobilize frame for barrel removal. It will not mare your frame. Great for the Beginner or Professional. Available for the Colt Single Action or the Ruger Single Action.